When you’re driving down the road, have you ever thought about the strips of information in the stripes that line the pavement ahead of you? 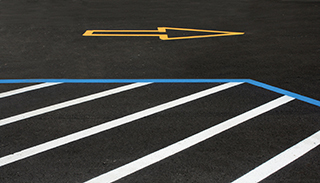 The stripes provide visual boundaries that indicate where you should drive. The stripes of a zebra allow him to blend in with the scenery. The stripes of traffic signs give a warning. Stripes determine when a baseball is foul, a football is in the end zone, and where the free throw line is in a game of basketball. Thanks to stripes, I can distinguish between a black cat and a polecat because of the white stripe that paints the back of a skunk. When I was in the military, stripes were a statement of authority and they defined the chain of command. The stripes of the One has resulted in the healing and salvation of the many. Are you one among the many? ← Are You Among the 21%?